The WindBack is a member of the family of the “augmented instruments” designed by the composer Michelangelo Lupone and realized by Centro Ricerche Musicali – CRM of Rome. The augmented instruments take their name from the use of technologies which allow extending their usual features and to generate new sonorities. 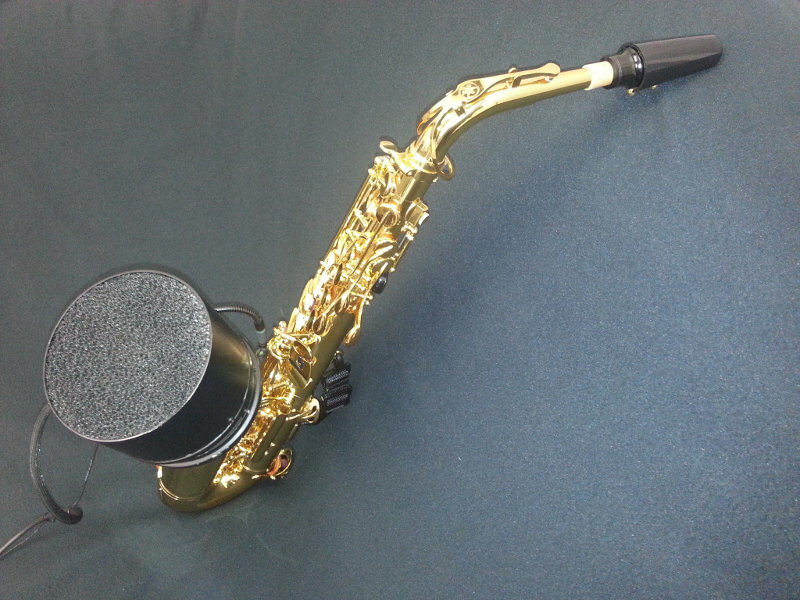 The WindBack is composed of a sensor and a speaker, placed on the bell of a saxophone, which are able to perceive and influence the air column between the chiver and the bell. With the WindBack the musician can control some timbrical aspects, which depend on the instrument’s resonant structure and can also regulate air fluxes which insist on the reed permitting the production of a continuous sound and a sound multiphonic generation (simultaneous different pitches, even in a non harmonic relation. The WindBack allows the inclusion of dynamic controls of the sensor and of the speaker, through algorithms specifically implemented on Mac and PC platforms.